Liz Grina Interior Design is a design studio in which innovative thinking and the unique stories of our clients are woven into every space. We are rooted in Tampa Bay, Florida but are dedicated to projects near and far. We pride ourselves in creating interiors which serve not only how our clients live, but how they work, dream, and play. Well, if you've picked up on it- I like a good pun. If you were able to put the title of today's post together (think ridiculous Korean dance song circa 2012), then props to you! This, along with many other one-hit-wonders are just some of the ridiculous things my brain decides to remember. Ok- back to business. So with the dog days of Summer right around the corner, I think everyone is craving a fresh, bright, happy space- maybe one that would pair nicely with a kiddy pool and some popsicles? One pattern that embodies all of these things and is making its comeback at the right time is gingham! Now, ten years ago if you had asked me if I liked gingham, I would have probably said "sure, for a picnic tablecloth?". Now, I have an all new appreciation for this classic motif. 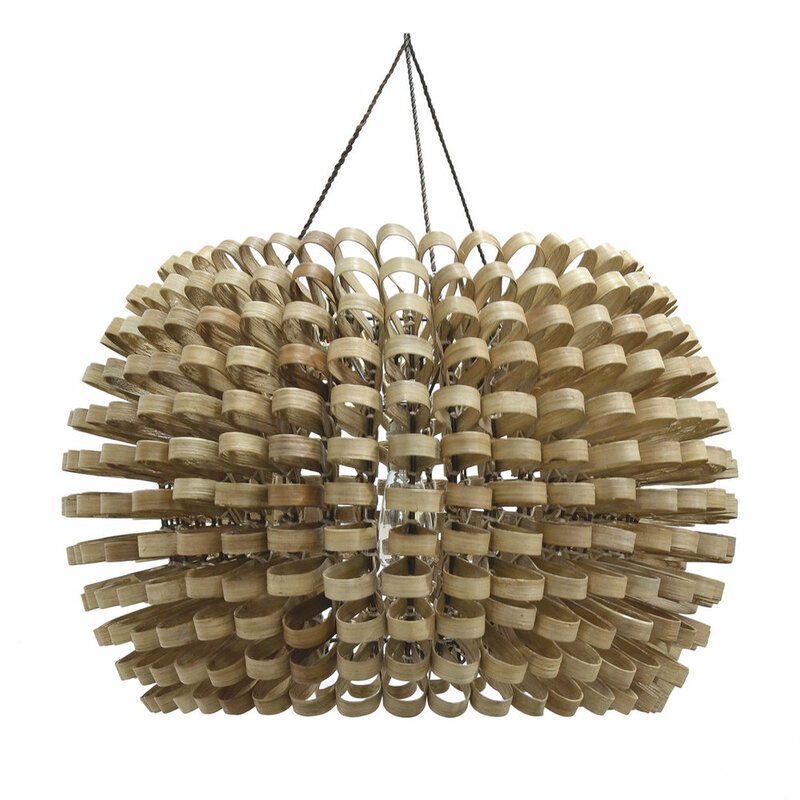 It has truly stood the test of time, and when done right- it can bring a breath of fresh air into a room. Let's check out some of my favorite ways to incorporate a zing of ging'! When I first saw this image- I kind of fell in love. Caitlin Wilson knows how to marry color + pattern like no other, and these gorgeous Madeline stools embody that perfectly! Such a statement they make- but what a happy one! Shop these stools below. 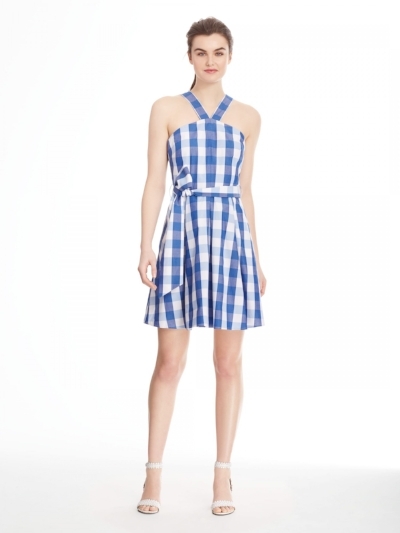 Now, gingham doesn't always have to be in-your-face. Like any pattern, if it is scaled/colored appropriately, it can act more as visual texture. Here we see a super subdued watery tone which makes these draperies quietly say "gingham", especially with the pleating. It adds interest to an otherwise simple room. And paired with a Wegner Wishbone chair- pure perfection! Gingham is not only making a major appearance in interior design. Reese Witherspoon, the princess of Southern style is fully behind this trend too. Here she is rocking her own Draper James Parton Check Mary Beth Halter dress. Shop the look below. Here we're seeing a more masculine version of gingham called a "Buffalo Check". They are usually larger in scale and incorporate the color black. I could totally see this bathroom right off of a men's study. Bold, sophisticated, and timeless- check, check, check! Image via Society Social- click to shop! Oh my gosh- here is why I just love this pattern. VERSATILITY. 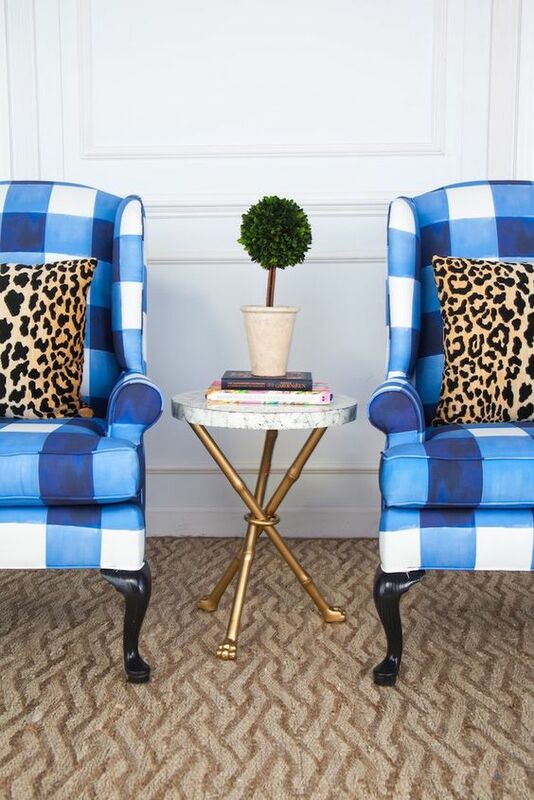 Right up there we've got a majorly glam vibe with this gorgeous intense blue check combined with some leopard, some satin gold, and some classic wingbacks. I'm back in the states! Up until last week, I have felt completely silly saying that phrase being that the only "out-of-states" travel I had done was to Spring break destinations (Shoutout to Mexico and the Bahamas!). But now that I have finally hopped over the pond, I am feeling a bit more international. When people say that travel changes you- they are absolutely right. My trip to Prague was completely unreal, and I am back feeling more inspired than ever. Between the food, the culture, the architecture (INCREDIBLE), and just taking in the new and unfamiliar- I can't say enough good things about this lovely city. One of my favorite bits of inspiration that I took away, was the use of the color green- in both the interior and exterior of these incredible historical buildings. Gorgeous patinaed copper roofs contrasting with terra-cotta tiled roofs. View of the city from Prague Castle. More sherbet-toned green! This spot reminded me a bit of Charlestons "Rainbow Row"
Whether we categorize it as pistachio, mint, lime (ok now I want ice cream), or sage...this beautiful hue brought such an air of freshness wherever it was splashed! And who would associate the word "fresh" with a city that's was founded in the 7th century?! View of St. Vitus cathedral from inside Prague Castle. It's not just the modern citizens who loved the color green- even the Prague Castle was outfitted with these vivid green furnaces for it's royalty back in the day! Subtle, right? Delice Cafe was easily one of our favorite spots- and spending time in this happy little place was made even more enjoyable by the simply elegant decor and incredible coffees + confections! Me, looking touristy in front of my favorite set of doors in the city. All in all, I want to thank Prague for lots of things- leaving me feeling inspired, leaving me feeling full of delicious carbs, and reminding me how much I love all shades of green. 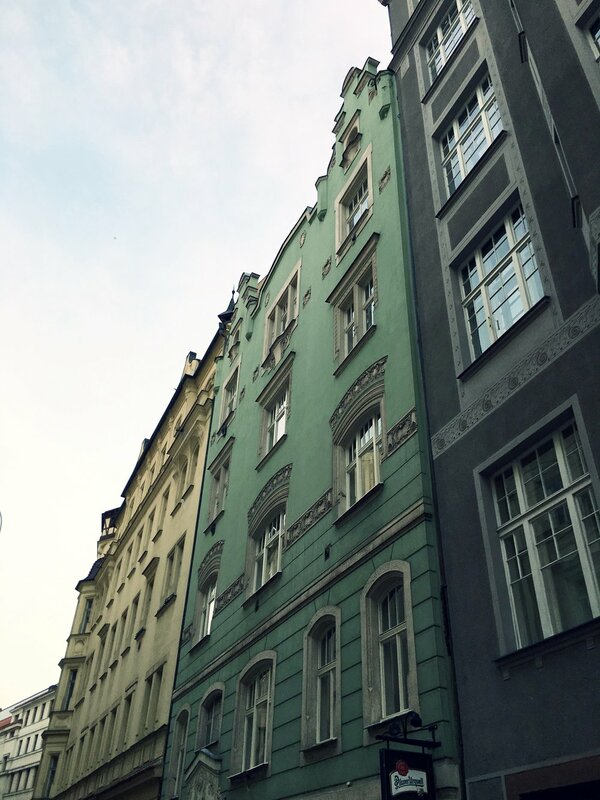 Sometimes in Florida, we can get lost in a sea of blue, but it is Prague-ably (sorry) a good idea to remember this historically chic & current color! Can't wait to incorporate it into a new design! Ok- sorry for the cheesy title, I couldn't resist. So, I want to talk about natural weaves today (wicker, hyacinth, caning, bamboo, etc.). These natural beauties a MAJOR moment in interior design. Actually, not really just a moment- these materials have been around for awhile, and they are here to stay. I'm a huge proponent of adding at least one natural element to each space. These counter stools act as a nice grounding element with their warm wood tone and textural backs. Here's a more traditional use of woven furniture pieces. This crisp, Cape Cod style great room is anchored by a coastal-vibe flat weave seagrass area rug and a couple of fun woven stools. This Uber-fresh light filled nook by Whittney Parkinson perfectly showcases how a natural woven piece of furniture does not need to be in a "coastal/beachy/island" home. These gorgeous clean-lined chairs are setting a scene here for a transtionally classic feel. Really I couldn't be more obsessed with this fun chandelier. Visual texture, warmth, and a dash of fun for any style room! This bamboo clad coffee table would be equally at home in a funky pink-covered bachelorette pad or a crisp black and white loft! I don't like playing favorites but I have had a crush on this chair for awhile. I think a pair of these in a breezy/refined living room would add the perfect touch of clean lines and a touch of the unexpected! All hail Jean-Louis Deniot! 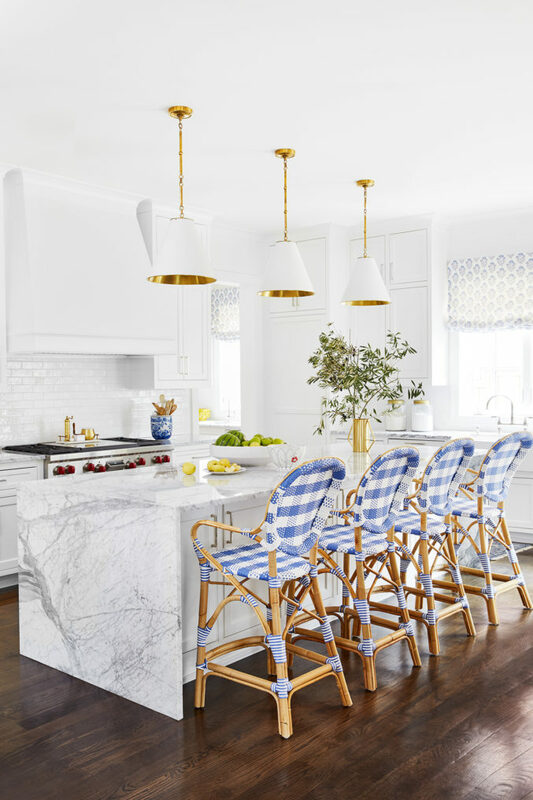 This kitchen flaunts sleek polished stainless cabinetry with an antique gold pendant fixture. Talk about STATEMENT. Image Via Elle Decor. This range and hood combination by St. Charles New York acts more as an art piece in this kitchen. The stainless and polished nickel metal finish combo adds just enough of the unexpected in this timeless space. Image Via St. Charles New York. This happy bedroom by Bria Hammel Interiors is brought to you by a bright white upholstered bed, blush accent pillows, natural light, and last but not least- MIXED METALS! How powerful are the warm gold lamps, iron bed frame, and cheery soft gold starburst mirror? They make the room, I'm tellin' ya! Image Via Bria Hammel Interiors. Visit Our Instagram, Facebook, and Pinterest!